Don’t wear a Native American headdress. But do wear an Indian chief skull ring. Or something. Maybe you’re a dude who always wanted to rock one of those cool-looking Sioux headdresses, but you just don’t want the immediate flack of either the Lakota Sioux tribe, or even worse — the self-whiteous hipsters of Silverlake — telling you that your fashion choices are offensive. Genocide can be a total fashion buzzkill like that. But a skull-faced Indian-chief ring is a lot easier to pull off — of your finger that is — than an entire headdress if someone out there isn’t cool with your looking cool. 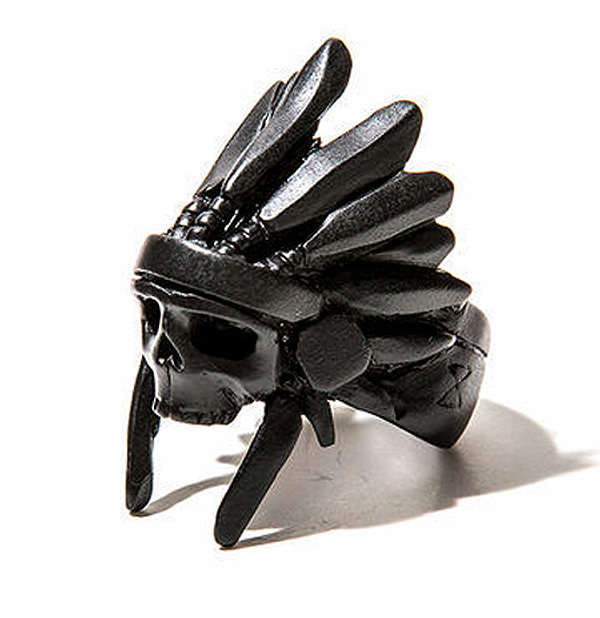 This Mr. Indian Chief Skull Ring by Mister is hand-sculpted in wax and then cast in alloy. Get yours for $68.